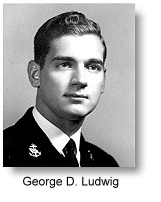 Dr. George Lewig was the first to detect gallstones with the use of the first abdominal ultrasound in the 1940's. 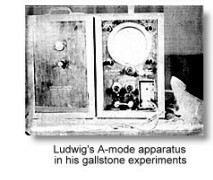 Working at the University of Pennsylvania, he systematically studied the organs and tissues from animals and experimented with various frequencies and methods. 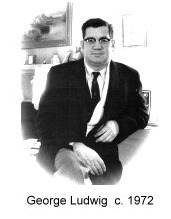 He pioneered the study of gallbladder ultrasound by detecting gallstones in animals and humans. He operated on three dogs and implanted gallstones in their back muscles and gallbladders. He then observed distinct changes in the ultrasonic waves sent back to the transducer. He also did studies in kidney ultrasound to detect stones in the body. first abdominal ultrasound. Ian Donald was the pioneer of obstetric ultrasound.